When we buy a gadget, its functioning has been thoroughly verified. Nevertheless, many times the power of the hardware is diminished due to software (or firmware) that is rather average. Rockbox is a new firmware compatible with dozens of players and gadgets that will manage to convert them into what they were meant to be from the beginning. 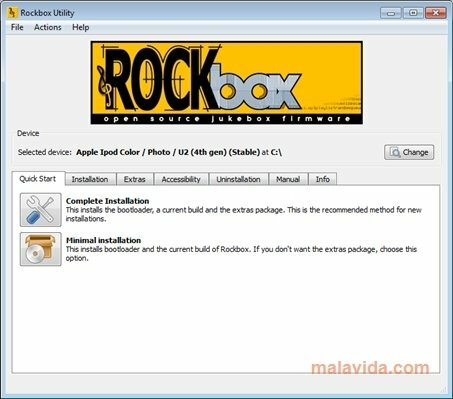 Whether due to slackness or company politics, many players are quite poor or lack functions that would be supported perfectly, so simply installing Rockbox we can access them. 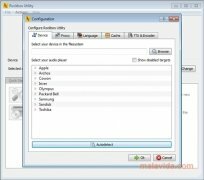 This application is an installer that detects our Apple iPod, Archos, Iriver, Olympus, SanDisk, Toshiba... player, to be able to overwrite the official firmware (o create a dual start up) and allow to start this brilliant firmware. With Rockbox we will have access on our device to 3D games (Doom and similar), recording, control by means of voice, a brilliant equalizer, support for more audio formats, play video on gadgets that didn't allow it, it is even capable of changing its aspect and customizing the interface. 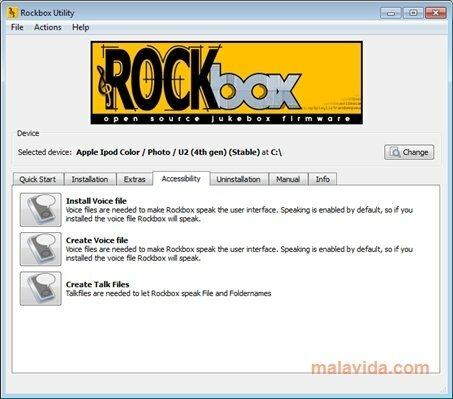 To sum up, Rockbox is a really interesting firmware that will be really easy to install thanks to this utility that will guide us step by step until we can enjoy it without any problems.